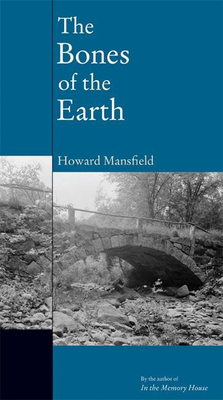 The Bones of The Earth is a book about landmarks, but of the oldest kind--sticks and stones. For millennia this is all there was: sticks and stones, dirt and trees, animals and people, the sky by day and night. The Lord spoke through burning bushes, through lightning and oaks. Trees and rocks and water were holy. They are commodities today and that is part of our disquiet. Howard Mansfield explores the loss of cultural memory, asking: What is the past? How do we construct that past? Is it possible to preserve the past as a vital force for the future? He writes eloquently on the land and time, on how to be a tourist of the near-at-hand, and on the forces that try to topple us. From the author of In the Memory House, which The New York Times Book Review called "wise and beautiful," and The Same Ax, Twice comes The Bones of The Earth, a stunning call for reinventing our view of the future.